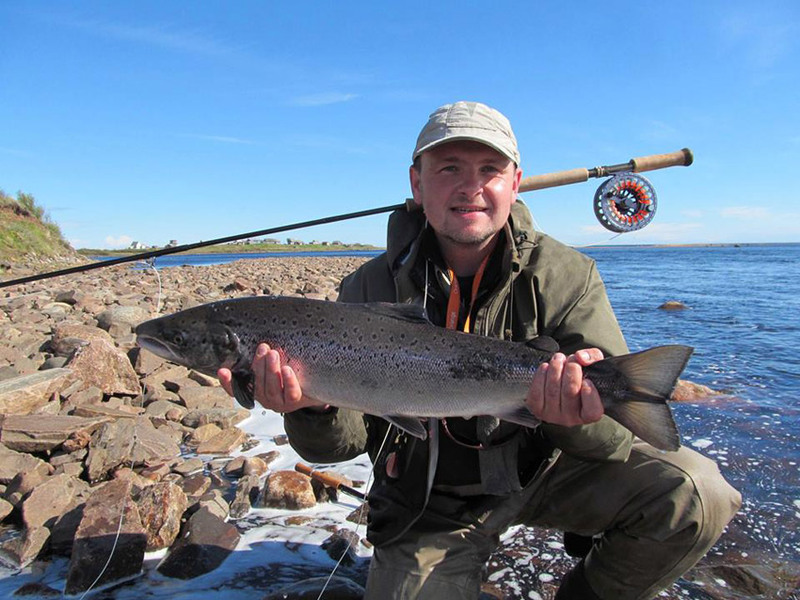 Chavanga Fish Blog: Strelna river salmon fishing tactic. 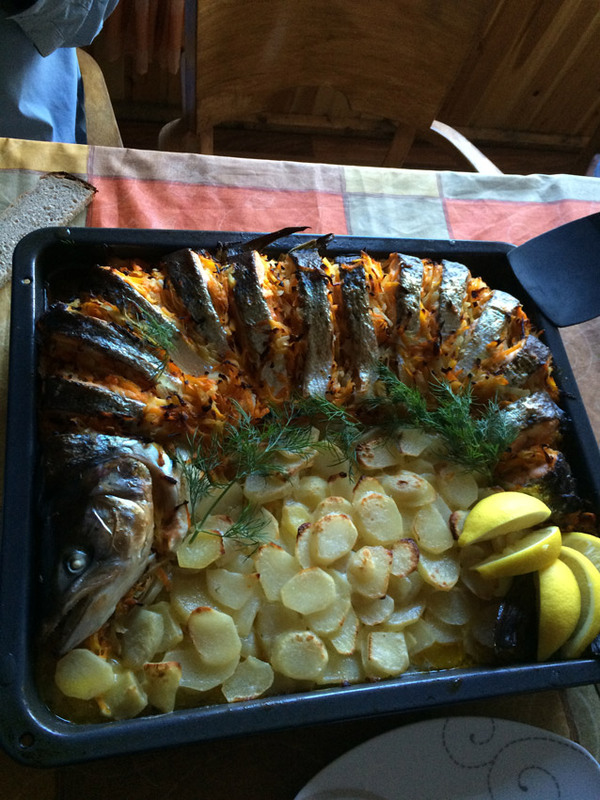 Strelna river salmon fishing tactic. 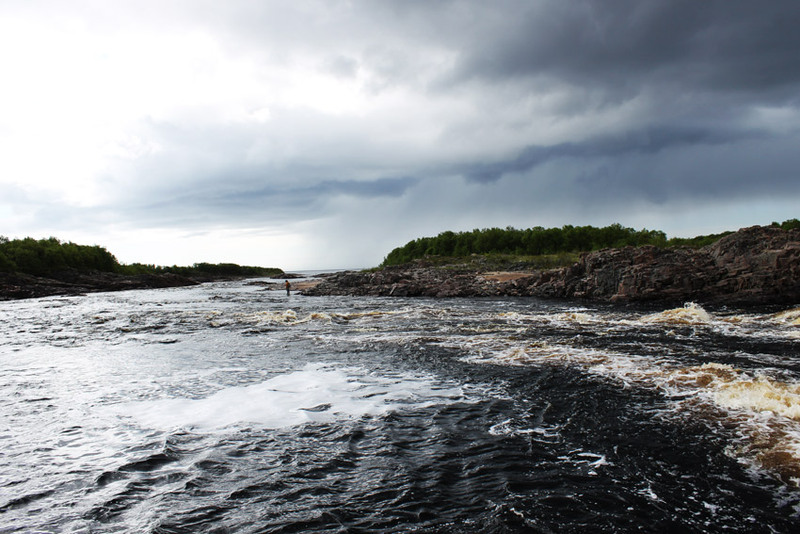 The situation on the river Strelna was somewhat different from the situation in the river Chavanga. Primarily this is due to a different configuration of the river mouth and the surrounding areas around the river. 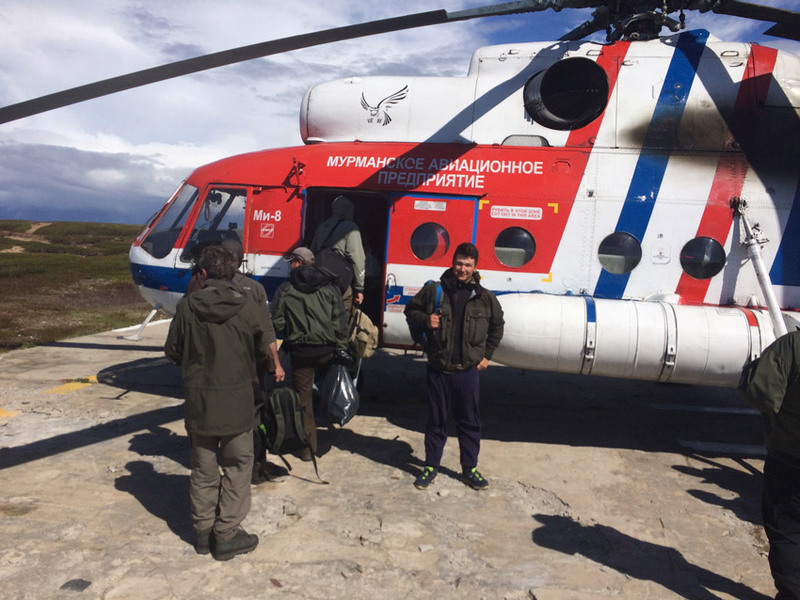 This May on Strelna as well as on Chavanga, it was easy to observe a fairly high level of water and its temperature was abnormally high. Our first attempts to catch a salmon in the regular for this time of the year places have shown that fewer fish found than usual. During high water level and low temperature, salmon stay in large quantities under the cover of large rocks and cliffs, deep pits and waterfalls and so on. Now it turns out only a few salmons were staying in those places. That is due to the autumn fish have been able to climb up the river. We came across a fish that just entered the river from the sea and started to make its way up the river only stopping at the shelters along the main stream. At the same time, we noticed that the fish is quite passively responds to our flies. 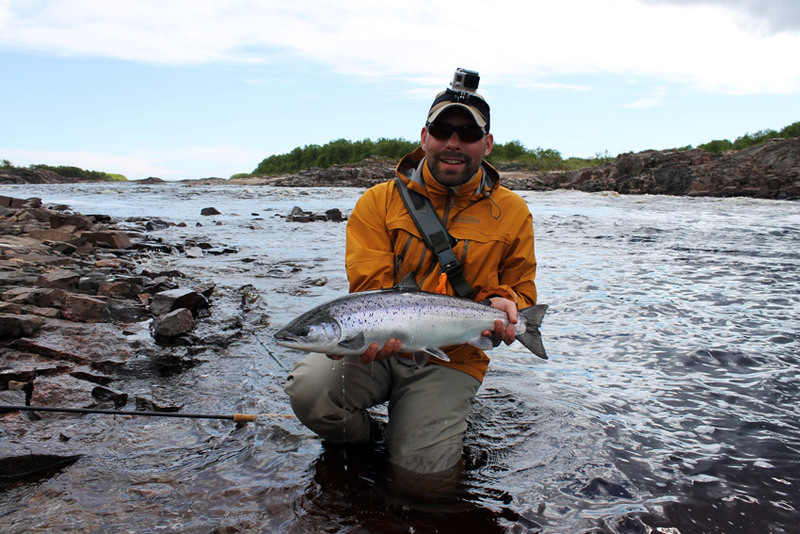 Usually at the end of May and early June, spotted salmon actively attacks the fly. Thus you can objectively assess the quality of the fly and its presentation. This time bites were sporadic and it was pretty hard to provide any explanation. 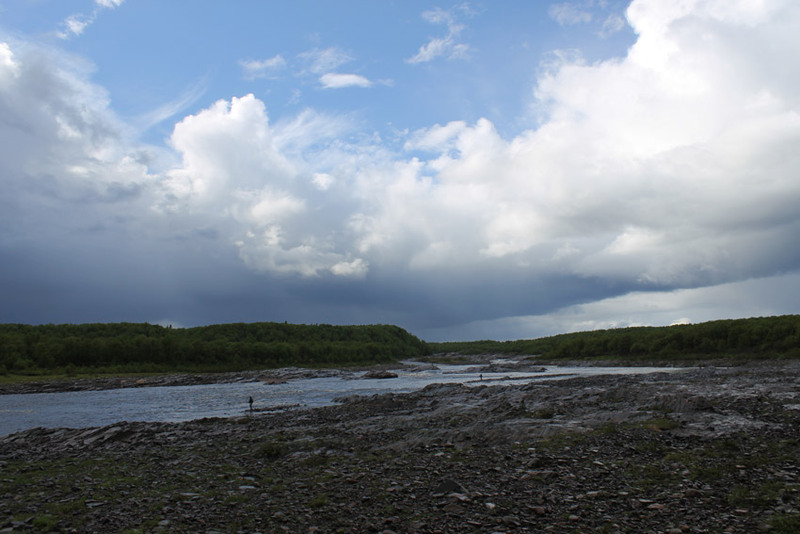 Moving along the river and constantly changing fishing places have not brought significant changes in the results. 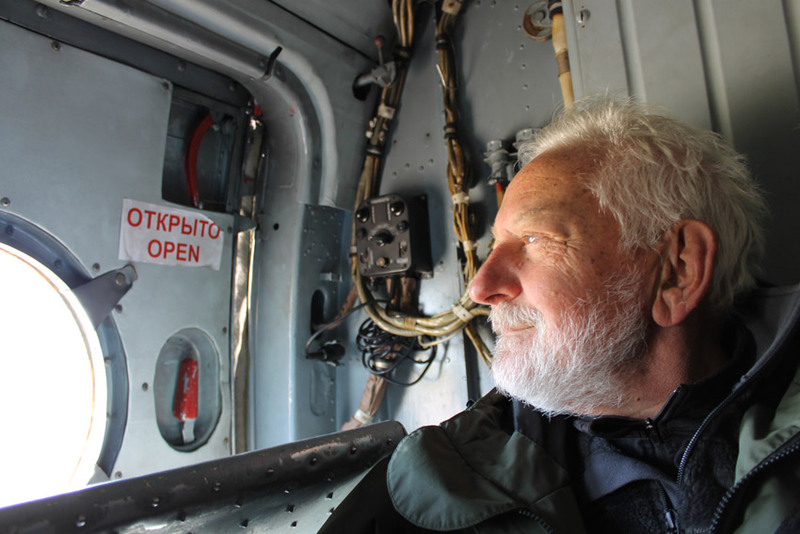 Our chance to get the fly to the salmon nose was still small.We did not understand how to present the fly in such conditions, and in which way the quality of fly affects the efficiency. Within two weeks of fishing, we came to the conclusion that the best chance for success is the area close to the estuary of the river and the estuary, not the mainstream of the river! In the estuary of the river we could easily observe an increasing surface activity of the salmon. The amount of fish is sufficient for effective fishing. Here you can find several sub salmon populations. Some of the fish is ready to enter into the river, others stay for a long time near the mouth, but do not make the attempt to climb up the river. 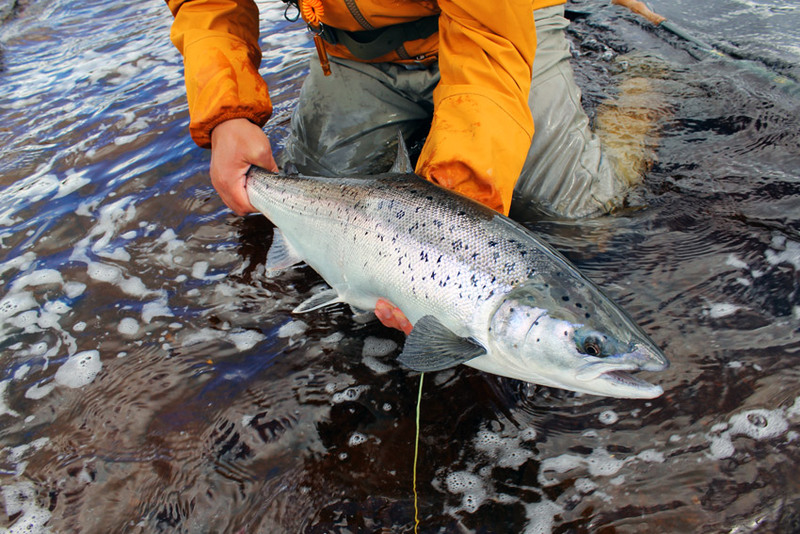 Another bunch of salmons come very close to the mouth of the river, but still spending most of the time in the sea. All those groups of fish always make the mouth parts of the river one of the most populated. We hypothesized that the activity of fish in the mouth must be higher than the ones which went up the river. We also often notice that the activity of the fish clearly decrease when the water level drops down and the temperature goes up. These factors can not drastically affect the activity of salmon that had settled already in the river. But these factors significantly affect the behavior of the fish that just entered the river fro the sea. For example, in late August 2013, in similar circumstances, we suffered a defeat here. There was a lot of fish which quite actively climbed up the river, but did not react to any fly we were offering. 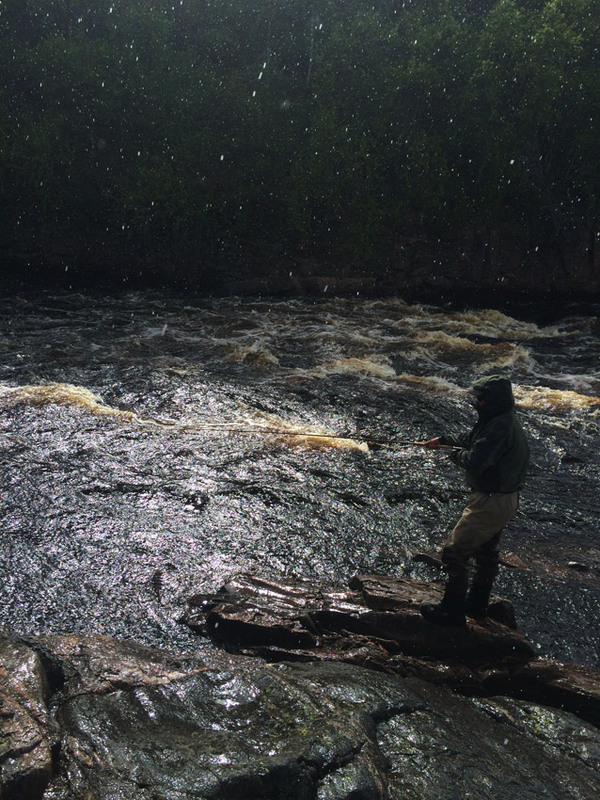 Fishing was effective only at the upper parts of the river where salmon stopped for a long vacation. 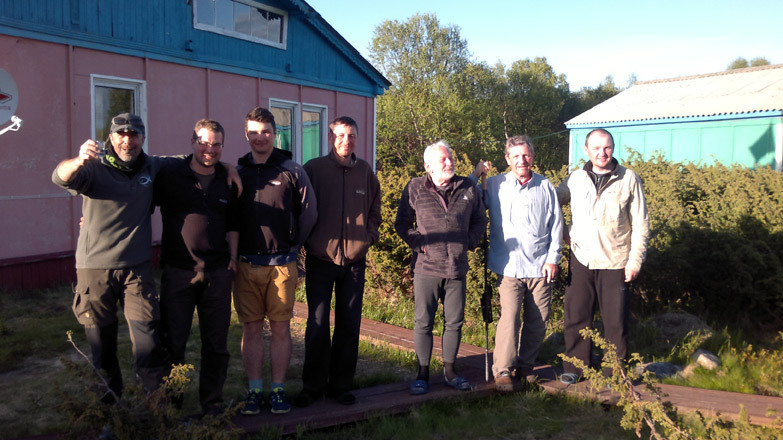 This time, as a result, the tactics of fishing in the estuary has led to an improvement in our results. The overall high level of water is not felt so critically in the wide and flat estuary. Waiding around was comfortable enough, it was only necessary to take into account the impact of tide on the movement of the water in the estuary. 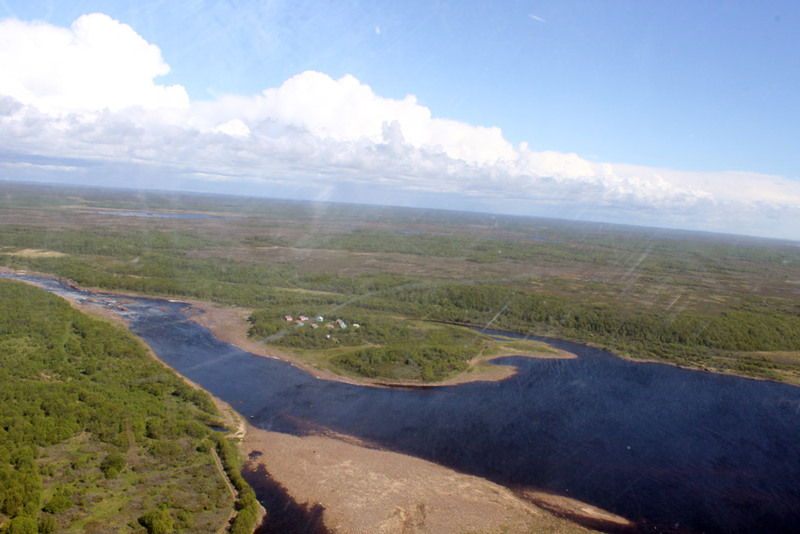 The estuary of Strelna has several hot spots for fishing. Ridges stones form passages or tunnels in the riverbed with the greatest depth and the main stream. Here comes the most intense circulation of fish. In the mid-cycle tide the depth of the river in these places ranged from 1.30 to 1.50 meters, at high tide is up to 1.60 - 1.70 meters. Those places we tried to fish. We got a major amount of bites at a sluggish and slow presentation of flies near the bottom. We cast down with minimum diagonal direction to the stream, mending up the line and sometime slow fly animation. 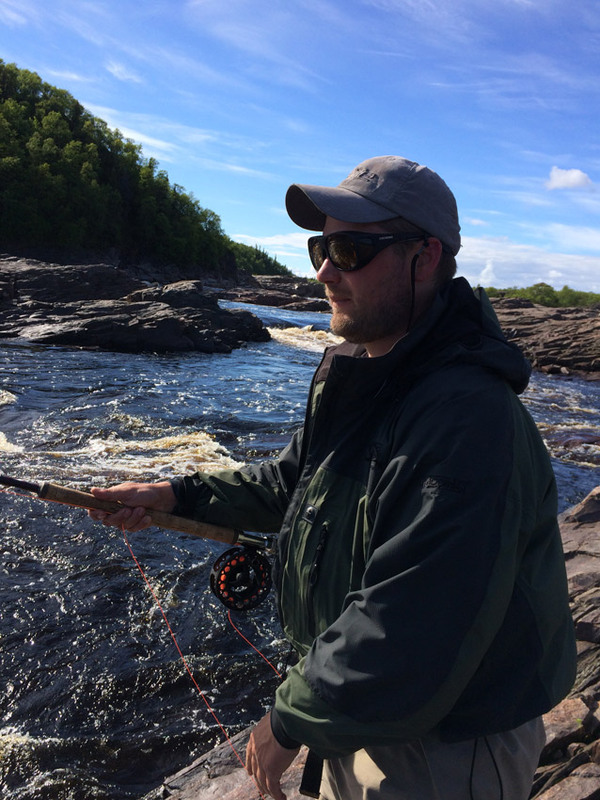 Usually at Strelna, larger size flies work better than on a nearby river Chavanga for example. Effective color combination was the standard - black, orange and silver color of the key parts of fly. It is useful to weight fly by copper head or cone. 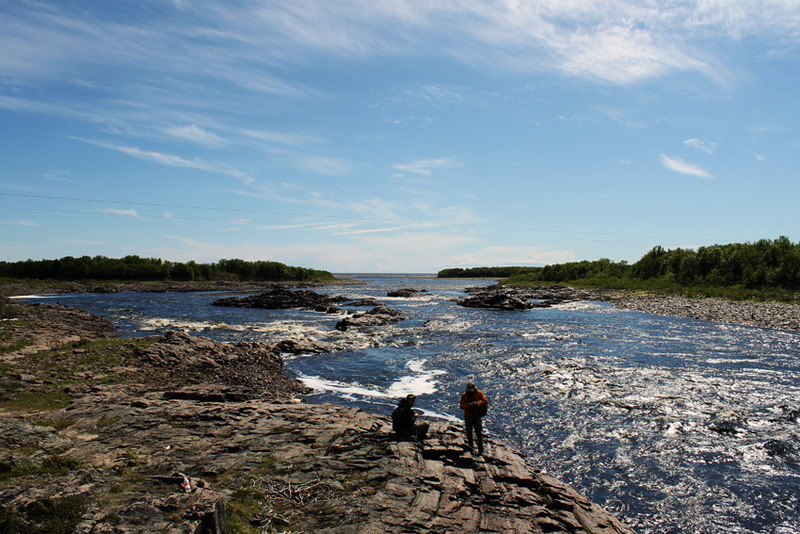 Strelna River is different from many other rivers of the Kola Peninsula, it is very convenient for estuary salmon fishing. Throughout the season, fishing in the estuary has shown some good results and is less affected by the negative weather conditions and temperature changes. WOW! I wanted seahorses and found out a lot about them. Yes, you can keep them with marine fish but check for capability and have a plan B for if it doesn't work out. Sea horses prefer by themselves and depending on the breed that big of a tank can scare them. I want to go out a couple miles offshore and fish for king mackerel or snappers when the water is flat as a pancake and i cant surf or skim. what models would have enough storage for a large fish like a king fish? is a fishing kayak worth buying? any suggestions for someone in my position? HI Pitterson! WE use air U-boat for estuary fishing and sea fishing not far from the sea shoe.